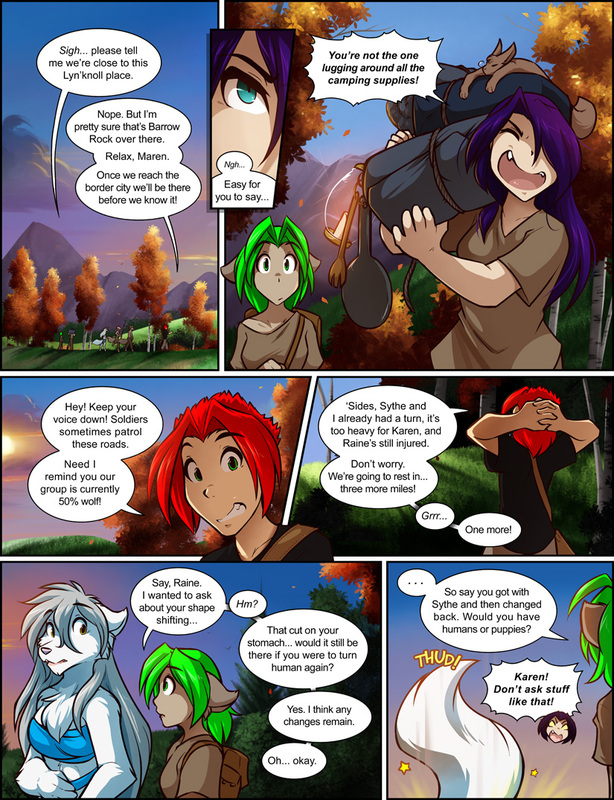 948: Asking the Real Questions - Twokinds - 15 Years on the Net! Maren: Sigh… please tell me we’re close to this Lyn’knoll place. Red: Nope. But I’m pretty sure that’s Barrow Rock over there. Relax, Maren. Once we reach the border city we’ll be there before we know it! 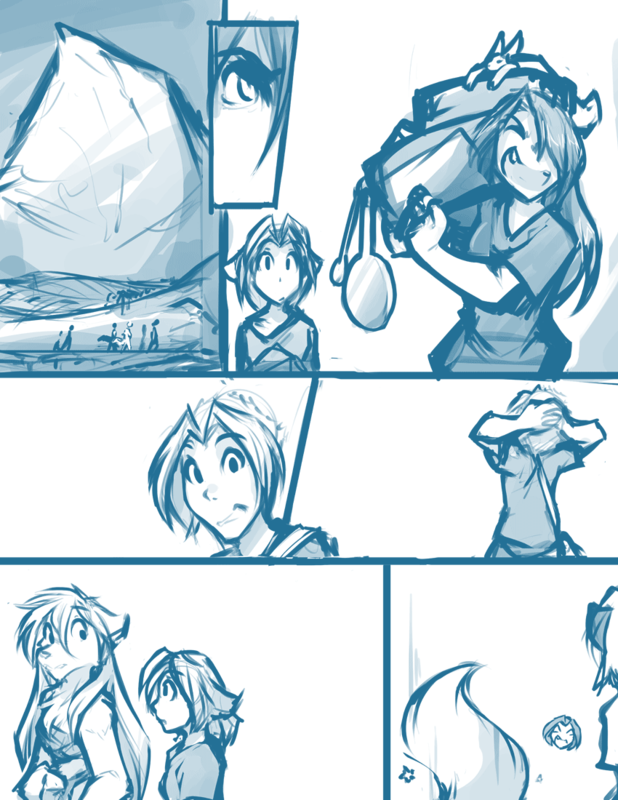 Maren: Ngh… Easy for you to say. Maren: You’re not the one lugging around all the camping supplies! Red: Hey! Keep your voice down! Soldiers sometimes patrol these roads. Need I remind you our group is currently 50% wolf! Red: ‘Sides, Sythe and I already had a turn, it’s too heavy for Karen, and Raine’s still injured. Don’t worry. We’re going to rest in… three more miles! Karen: That cut on your stomach… would it still be there if you were to turn human again? Raine: Yes, I think any changes remain. Karen: … So say you got with Sythe and then changed back. Would you have humans or puppies? Maren: Karen! Don’t ask stuff like that!